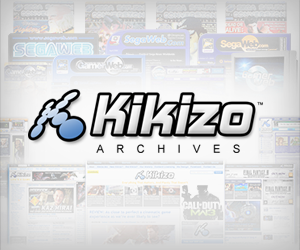 Posterchild for "New EA's" focus on quality games? 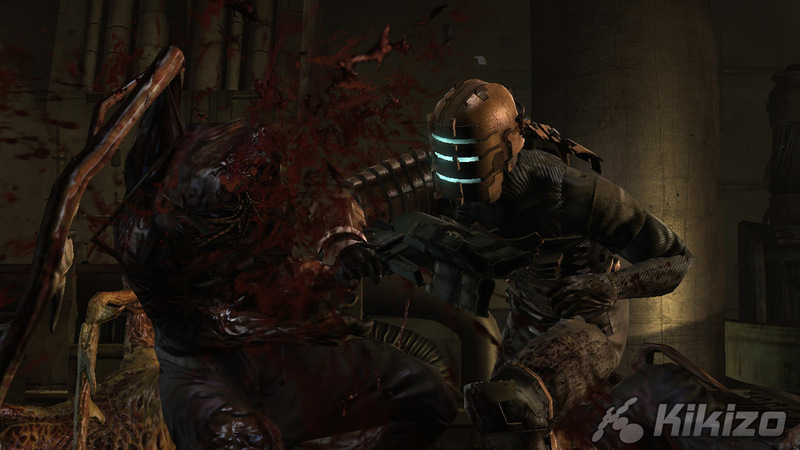 In terms of how each bloodthirsty encounter is structured, though, Dead Space isn't quite up to its own inspirations. 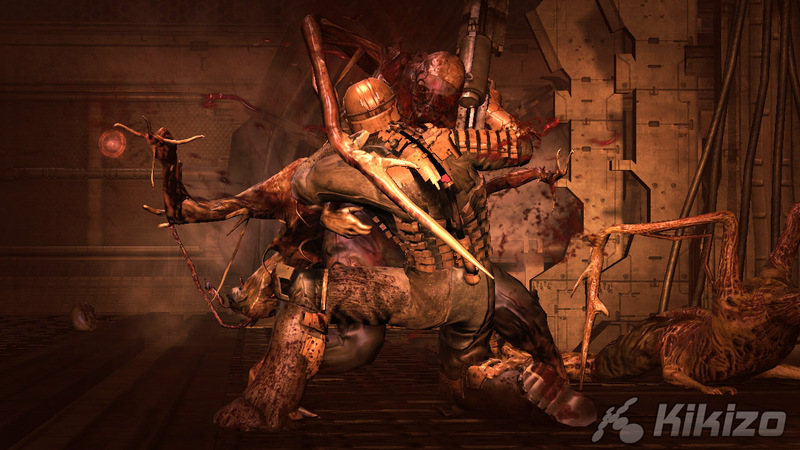 The Necromorphs, hack-n-slash devotees to a grossly mutated man, never offer the same hideously dogged, flexible opposition as Resi 4's grisly villagers, not to mention Siren: Blood Curse's demented Shibito. Nor do the environments - save for a few, visually spectacular but slightly undercooked instances of zero-G combat - foster the same desperate, multi-levelled, freeform approach. Surprise assaults - yes, they do indeed come out of the goddamn walls - rule the day here, and your best bet is thus to keep your gun arm level at all times. 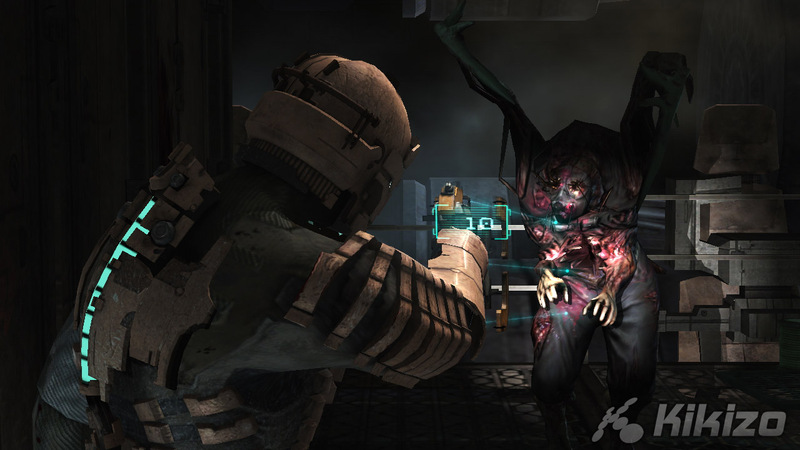 Being able to move or strafe while aiming is a boon in this regard, though the tortoise-like Isaac won't be giving any screeching nasties the run-around. Fortunately, EA Redwood's fairly orthodox scripting (backed by a highly-strung orchestral score) makes it easy to predict when and where the Necromorphs will put in an appearance. Such incidental features as vents or casually arranged dead bodies should be presumed guilty till proven innocent, and if you hear something pootling about in the shadows on first traversing an area, you can confidently expect it to leap into the limelight on your return. Should Isaac be caught with his pants down, a get-out clause exists in the form of the Stasis ability. Tapping a face button while aiming fires out a bolt of hyper-technological gloop which puts the target into electric blue slo-mo, giving you a few additional seconds to pump them full of plasma or, if you're of a tactical persuasion, take out closer beasties first. This dovetails nicely with the much-vaunted dismemberment system. 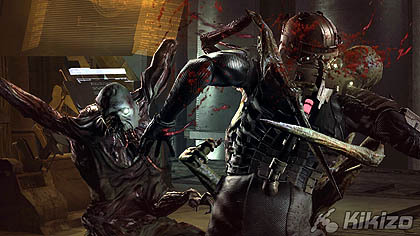 Necromorphs can soak up any number of headshots before snuffing it, but they're very susceptible to a spot of limb removal: slap an aggressor with Stasis and you'll have ample time to carve off a few appendages, cue some gloriously protracted death throes. 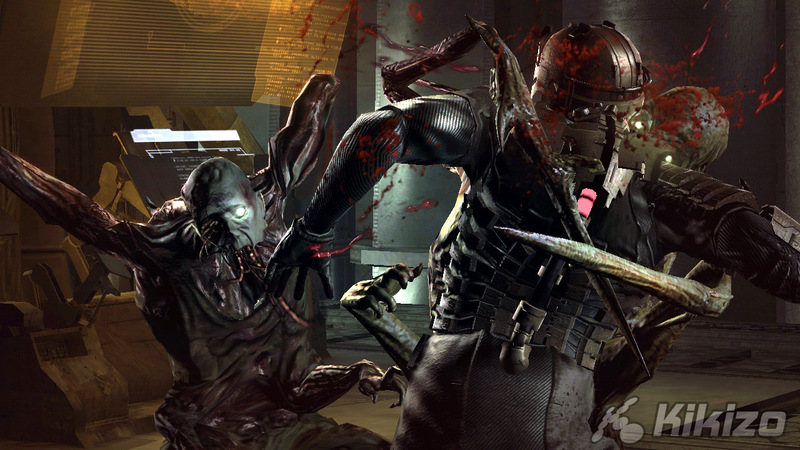 More advanced enemies punish you for a lack of precision. Blast one of the mutant sumo-wrestlers in the gut, for instance, and you'll be showered with angry tapeworms. 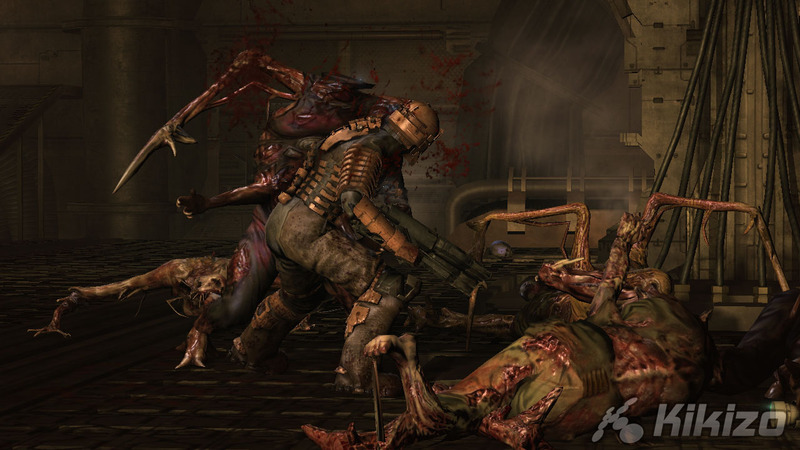 While dismantling the Necromorphs from afar is a satisfying business, the emphasis on dismemberment does render certain weapons (the pulse rifle) practically useless. Given an upgrade or two, the bolt cutter you kick off with can put down almost anything the game throws at you, which only exacerbates the problem of repetitious mission design. The procedure runs like this: somebody pops up on a video screen (again rendered within the game world as a hologram) and witters about ship system X breaking down. Some Ghastly Thing then usually makes an entrance off-camera, prompting said somebody to disappear in a suspenseful hail of static. You meanwhile mosey on down to ship system X and solve a rudimentary puzzle via a combination of Stasis and Telekinesis (Isaac's other, far less useful special ability, which functions much like the Gravity Gun in Half-Life 2), generally whilst fending off swarms of Ghastly Things, after which the aforesaid somebody pops up again, having relocated to a Ghastly-Thing-less area, to witter about ship system Y breaking down - rinse and repeat for ten to fifteen hours. 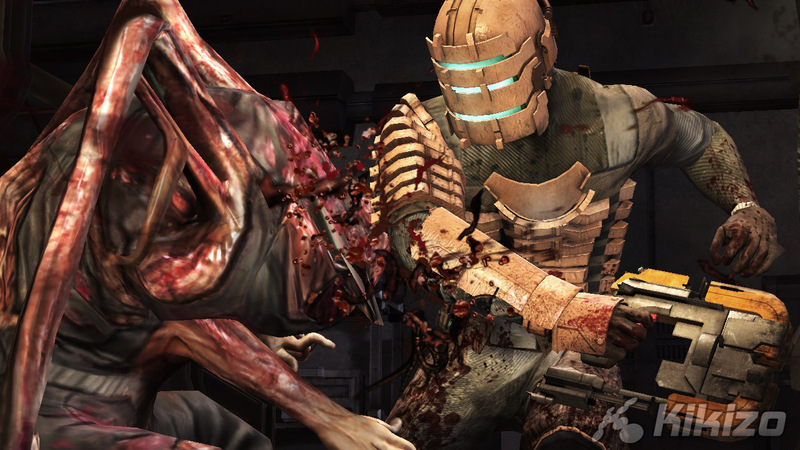 But repetition is only an issue if the action repeated is no fun, and while it never blows your socks off, Dead Space seldom fails to entertain. As in Bioshock (by my lights, at least - please direct all hate mail to the usual address) the fundamentals here are ultimately so many old chestnuts, but EA Redwood strings its borrowed parts together with becoming deftness, then seasons them with some delightfully unpleasant atmospherics. The resulting game lacks 2K Games' breakaway premise or narrative verve, but it's still a tightly crafted, resolutely competent addition to the survival horror scene. Keep 'em coming, chaps. 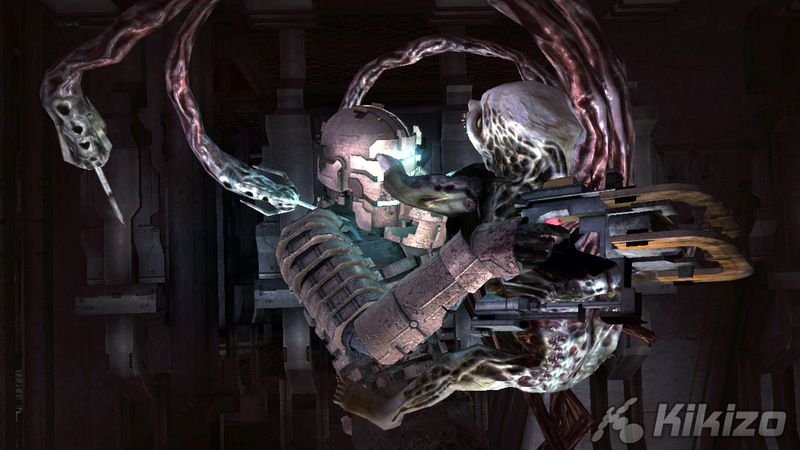 THE VERDICT: "Resident Evil 4 in space" doesn't cut it - Dead Space is neither as ambitious nor as engrossing as the Gamecube Goliath. 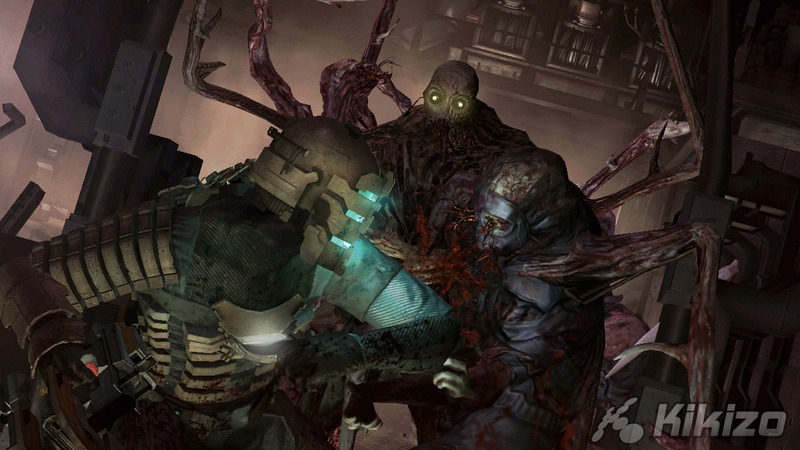 But it's still an expertly realised, slickly implemented survival horror experience. Sequel, please!